Restaurantware’s bamboo flatware and dinnerware is the earth-friendly answer for occasions and events that call for attractive, sturdy disposable tableware with “Green” appeal. Beautiful, renewable bamboo gives this disposable dinnerware a very sturdy feel and natural-toned elegance with dishes sized for every need, from beachy buffets to seated dinners. 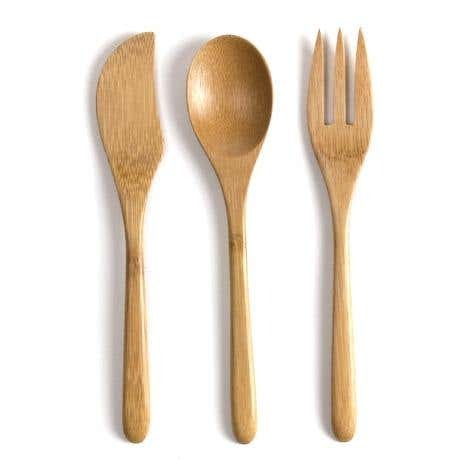 Bamboo disposable dishes, flatware and utensils are ideal for indoor and outdoor use. All of our bamboo plates are priced individually — buy just what you need! Made of 100% organically grown bamboo FDA approved food-safe – No bleaches or dyes after disposal, Bamboo biodegrades in 4-6 months. Not recommended for the microwave. Intended for single use, but can be hand-washed and reused. Restaurantware.com is answering the growing demand of businesses and consumers who are looking to reduce their carbon footprint and live a greener lifestyle, by offering environmentally-friendly disposable tableware for events, business meetings, weddings parties and more. For more information or to view the complete product line, please visit www.restaurantware.com.